A study of software project management concepts, software cost estimation, quality management, process involvement, overview of analysis and design methods, user interface evaluation, and design. Also considered are dependable systems – software reliability, programming for reliability, reuse, safety-critical systems, verification and validation techniques; object-oriented development; using UML; and software maintenance. Welcome to CS 164. In this course, we will learn the process behind software development from front to back, by working on a real project through the whole semester. You will be responsible for many parts of the system yourself, but we will discuss the overall design and direction as a class so that we can stay on track and learn from one another. christopher.league@liu.edu — please include “CS164” in the subject. I have several email addresses, but all messages end up in the same place, so please use only one. 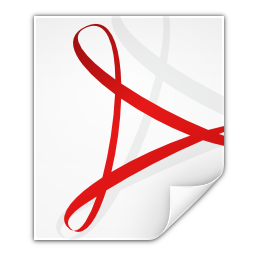 We will also use a designated virtual machine image to complete assignments, so that we have a consistent work environment. More details about configuring and operating it will be available in Check-in 1 and Milestone 1. There will be 7 project milestones scheduled throughout the semester. The exact requirements and expectations for each will be posted to the course web site. Your contribution will be worth 125 points each, but I will drop the lowest, so that only 6 milestones count, for a total of 750 points. Warning: the last milestone cannot be dropped. There will be 7 ‘check-in’ opportunities scheduled. These vary from week to week, but may involve responding to a survey, taking a brief online quiz, or participating in a discussion forum. Check-ins are worth 25 points each, but I will drop the lowest two scores so only 5 will count, for a total of 125 points. There is no midterm exam, but there will be a final exam, worth 125 points. In the end, I may choose to adjust the scale slightly to compensate for assignments or questions that turned out to be trickier than I intended. Such adjustments would never lower your grade from what is designated in the above table; if you achieve 930 points, you are guaranteed an A. It is important to complete tasks on time, so you don’t fall behind. Missed check-ins will receive a zero, and cannot be made up (but remember, the lowest two are dropped). Late milestones are accepted up until finals week, but will be penalized as follows. where the variable \(h\) represents the number of hours the submission is late. The table below shows some sample values of the late factor for increasingly late submission times. The idea is that is that the penalty is somewhat steep initially (from an A to a B+ after just one day) but shallows out over time. It will still be worthwhile to submit a missing assignment, even weeks late. There will be no extra credit. Students usually ask for extra credit late in the semester after they have already squandered their original opportunities. Be sure to start your work early, so that we can detect and solve any problems before they can impact your grade. Plagiarism is the use or presentation of ideas, words, or work that is not one’s own and that is not common knowledge, without granting credit to the originator. Plagiarism is a practice that is not only unacceptable, but which is to be condemned in the strongest terms possible on the basis of moral, educational and legal grounds. Under University policy, plagiarism may be punishable by a range of penalties from a failing grade in the assignment or course to dismissal from the School of Business, Public Administration and Information Sciences. All students are required to read the handbook on avoiding plagiarism. Cheating includes, but is not limited to the following: falsification of statements or data; listing sources that have not been used; having another individual write your paper or do your assignments; writing a paper or creating work for another student to use without proper attribution; purchase of paper or research work for one’s submission as their own work; using written, verbal, or electronic or other sources of aid during an examination (except when expressly permitted by the instructor, depending on the nature of the examination) or knowingly providing such assistance to aid other students. In a course with programming assignments, it is usually okay to work with and learn from other students to some extent, but what you submit in the end needs to be your own. The most reliable way to do that would be to set aside whatever code you created together, and then recreate it from scratch on your own. Showing up on time to class is extremely important. If you must be absent or more than 5 minutes late, please try to notify me in advance. I will be keeping track of whether you are in class, and when you arrive. A few missed classes will not count against you, but habitual absence will significantly hurt your grade. Additionally, there will be no make-up quizzes. I do not distinguish between “excused” and “unexcused” absence. Unless you miss an exam due to a severe medical emergency, I don’t need to see a doctor’s note. If you do miss an exam, the make-up exam may be somewhat different from the one given in class. In accordance with Section 504 of the Rehabilitation Act of 1973 and the Americans with Disabilities Act of 1990, including changes made by the Americans with Disabilities Amendments Act of 2008, the Long Island University does not discriminate against qualified individuals with disabilities. If you are a student with a documented disability/​impairment (psychological, neurological, chronic medical, learning disability, sensory, physical) and require reasonable accommodations, please register with Student Support Services and provide me with an accommodation letter. Visit Sloan Building 1st floor, call 718 488 1044, or visit Student Support Services. I participate in the LIU Safe Zone program. Representatives of the program serve as contacts for individuals on campus with questions or concerns related to sexual orientation and gender identity, whether of self or of a friend or family member. The goal of the program is to promote a safe and free campus for all students. 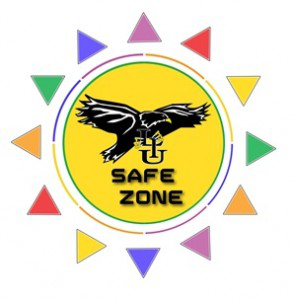 Safe Zone areas can be identified by a sticker with the LIU Safe Zone logo. The Family Educational Rights and Privacy Act (FERPA) gives students control over the disclosure of their educational records. During this course you may have the opportunity to create accounts or register with certain public online services. In these cases, you need not make any personally identifying information public. You may use a pseudonym or online handle, as long as you identify yourself to the instructor.